The classic zip-around wallet is new for the season in a new workmanship that recalls our signature intrecciato. The intricate design features a shimmering jacquard weave made from metallic nappa leather framed by precious ayers. 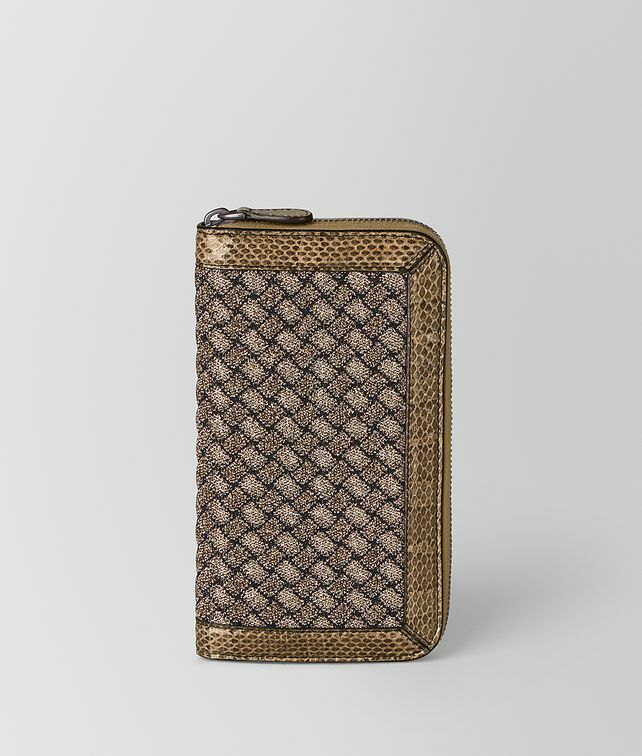 The luxe yet practical design is fitted with eight card slots, two note compartments and one zip coin purse.